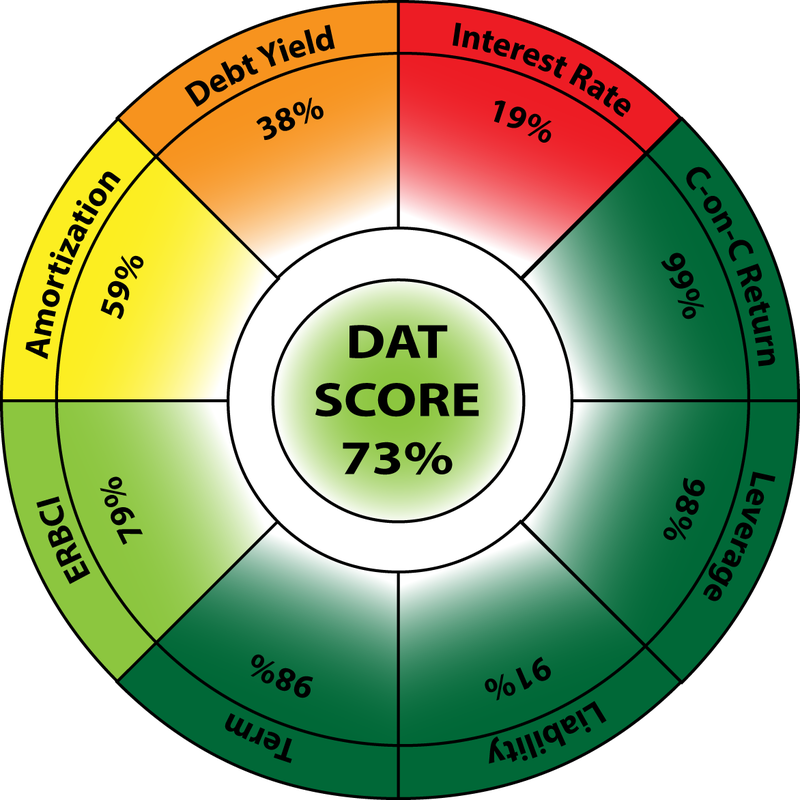 Dashboard Analysis Tool "DAT" is a proprietary Saratoga Springs Capital "SSC" tool that enables every SSC client to compare and evaluate their loan to other comparable loans in their given commercial real estate market. It is a quantitatively based way of evaluating a loan. ​Every non-numerical DAT variable has a score from 1 to 5: 1- poor (red), 2- fair (orange), 3- average (yellow), 4- good (light green), and 5- excellent (green). The overall DAT Score is a weighted average of the DAT variables, which is then quantified into a percentile ranking. In real estate property and note sales, appraisal firms and "Wall Street" loan buyers use sales and loan comparables, which allow them to justify the valuation and leverage for a more favorable price. Saratoga Springs Capital uses DAT to do the same for our clients during financing negotiations.